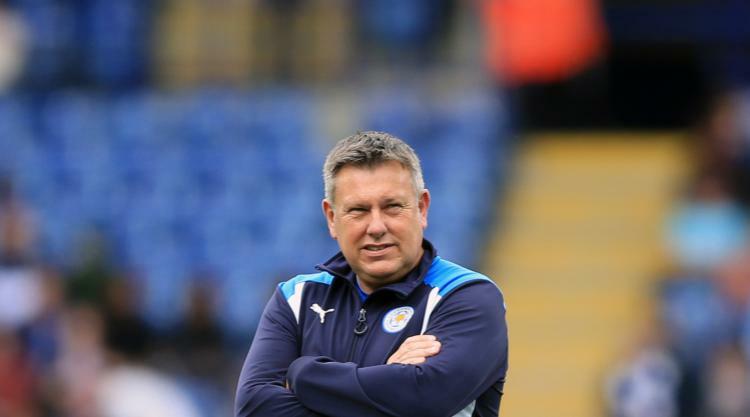 Everton's final Europa League game will see Craig Shakespeare take charge once more, but the former Leicester boss has shelved thoughts of doing so again permanently. The Toffees' dismal continental campaign, which has seen them pick up just one point from their five group games, ends against Apollon Limassol in Cyprus, where Shakespeare and fellow first-team coach Duncan Ferguson will be in the dugout due to Sam Allardyce's absence. A pre-arranged medical appointment means new boss Allardyce has remained at home, along with a host of senior figures, so it will be left to two of his backroom staff to lead a team of fringe players and youngsters three days before the Merseyside derby. The stakes were considerably higher when Shakespeare was last in charge of a European match eight months ago, with his Leicester team ousted from the Champions League by Atletico Madrid at the quarter-final stage. Sacked from his only permanent managerial job two months ago, Shakespeare is not focusing on the possibility of being a number one again having joined Allardyce's coaching staff when the former England boss was appointed last week. "It is something I'm not thinking about at the moment," he said. "I have come here, I know my role, my responsibilities, I want to try and improve the players, try to improve the football club, improve myself as well. I see it as an opportunity for the team we pick to show what we can do." It is also a chance for Morgan Schneiderlin to revive his Everton career. The French midfielder, 28, has not started Everton's past two games and his presence in Cyprus, along with eight players yet to make their senior bows, suggests he will not come into Allardyce's thinking at Anfield. Schneiderlin sees Allardyce's appointment and Thursday's fixture as an opportunity for a fresh start having struggled for form so far this term. A Ronald Koeman buy in January, last month Schneiderlin was dropped from the squad that faced Watford by caretaker David Unsworth, along with Kevin Mirallas, due to a training-ground incident. At the time Schneiderlin rubbished reports that was because of concerns over his attitude and on Wednesday he once more dismissed what he described as "fake news". "First I read about it in the newspaper and I was as surprised as I could be because there was no incident," he said. "I made a statement on my social networks saying it was fake news and it wasn't true. "I want to turn the page. It was not nice for me to see that and it is part of football. I have to deal with it. "I want to prove (myself) in every game and of course there is a new manager coming in so it's a fresh start for everyone. I haven't had the chance to play the last few games and it is going to be up to me to show what I can do and that I can make a difference to the team. "It needs to be the aim of everybody to show themselves and show that they can play. It is a chance to prove you can play."